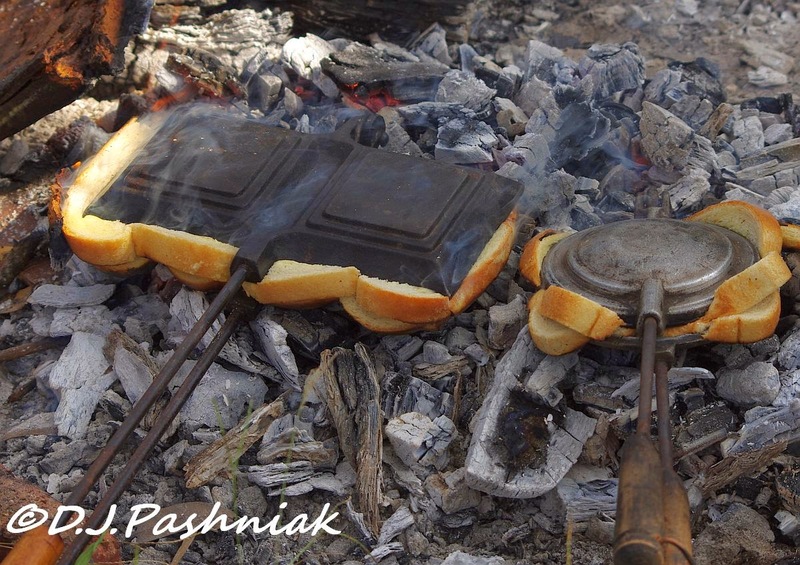 Food cooked over an open fire is a happy memory going back to childhood. Back then it was one of the lovely things we did whenever my family and I were camping out in the bush. When my friends Sarah and Graham suggested a backyard fire and food cooked over the coals I was delighted. They have a big open backyard and a fire pit which they use quite regularly. They are also fun people to be with! 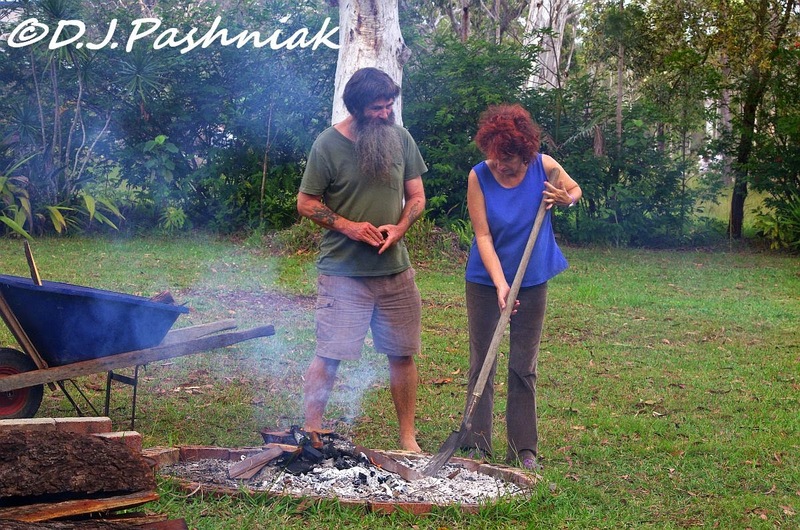 Graham's business uses outback timber and he had lots of little offcuts that would burn very hot and make good coals for cooking in. (To see more about the timber he uses here is his web site.) 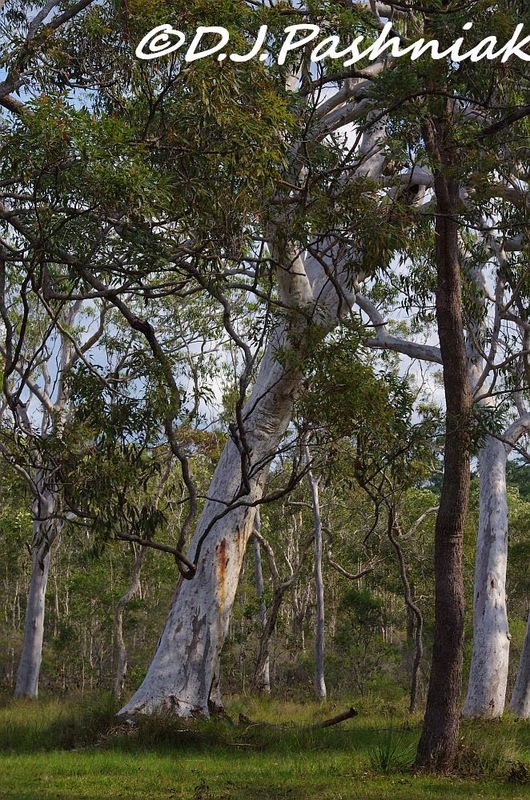 Of course there were lots of little branches from the gum trees. 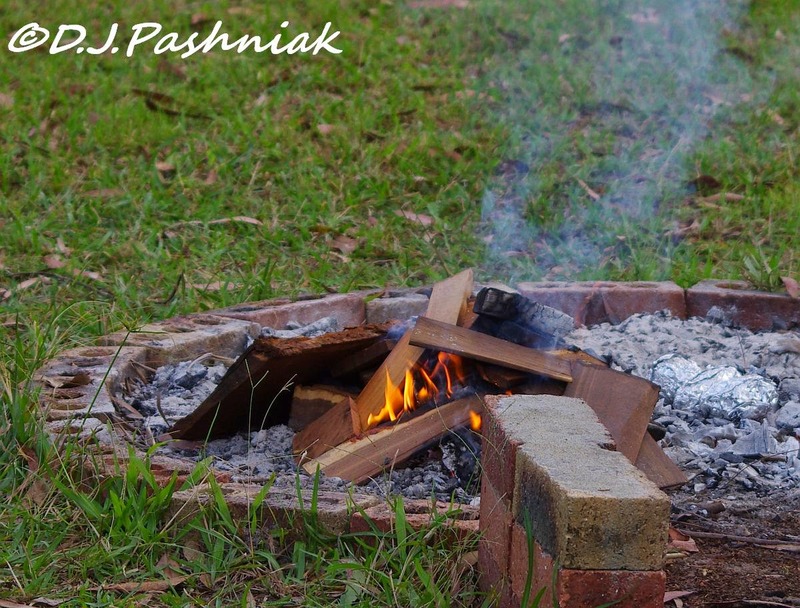 There is nothing quite like the smell of gum leaves burning on your fire! 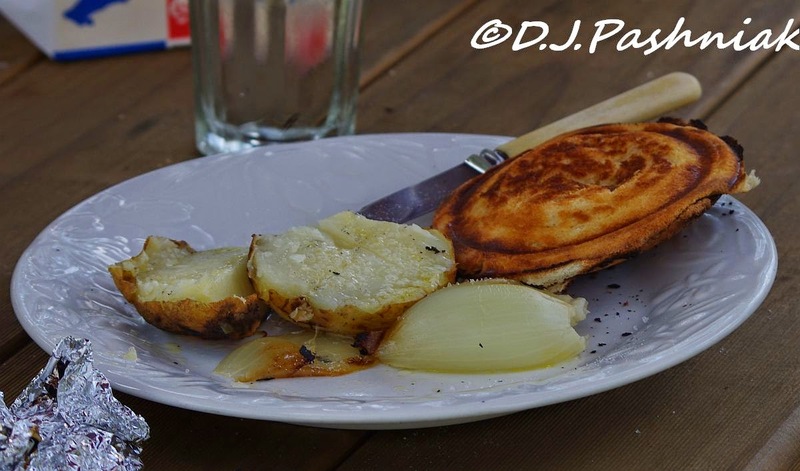 We kept the menu simple - potatoes and onions wrapped in foil and cooked in the coals. I also "dug out" my old jaffle irons from where I had put them in amongst camping equipment that I haven't used for years! Jaffle irons have lots of different names - we used to call them "toast-rights" when we were small. The only thing I did wrong was the fire was too hot for the jaffles. I remember the bread outside the iron cooking slowly and just browning. Ours this time burnt! We cut off the burnt edges and the inside was perfect - bread nicely crisp and browned and the egg inside just right! The veges were perfectly cooked and only needed a little topping of butter and salt! All the while we were enjoying our food there was a Tawny Frogmouth (Podargus strigoides) sitting up in a nearby tree and watching everything we did. These birds are active from dusk to dawn so this one was sleeping - but with its eyes cracked open enough to watch us. Every time I walked over that way for a better photo it lifted its head and pretended to be a piece of broken off branch. Very good camouflage! Oh, yes! You made my mouth water, too, Mick, guess I'd better go fix some lunch!! I've never seen a frogmouth before!! I He is well camouflaged!! I had to look for him! Love it!! Hope you have a great week!! The open fire cooking made me hungry and nostalgic at the same time and your uncomplicated dishes looked lovely and tasty. Oh the simple pleasures of life before Health and Safety and PC. The Frogmoth is certainly an amazing bird. I guess that pretending to be a branch would work many times with both Joe Public and predators, but not with birders. Yes, on Sunny Sundays the birds just get flighty with the constant traffic of people. At this time of year I often go out as soon as it's light 0430 and get four or five hours of birding before most folk are up. Yum, the food cooked over the campfire sounds delicious.. I love the veggies. I am just amazed at your Frogmouth, it is an awesome bird. It is neat how they can try to camouflaged themselves. Great sighting and photos.. Loved cook outs as a kid too so can definitely relate. That bird is fascinating. Cooking over an open fire is pure joy! Nice shots. I can smell the food from here. How delicious. I would never have noticed that bird! Your food looks delicious. 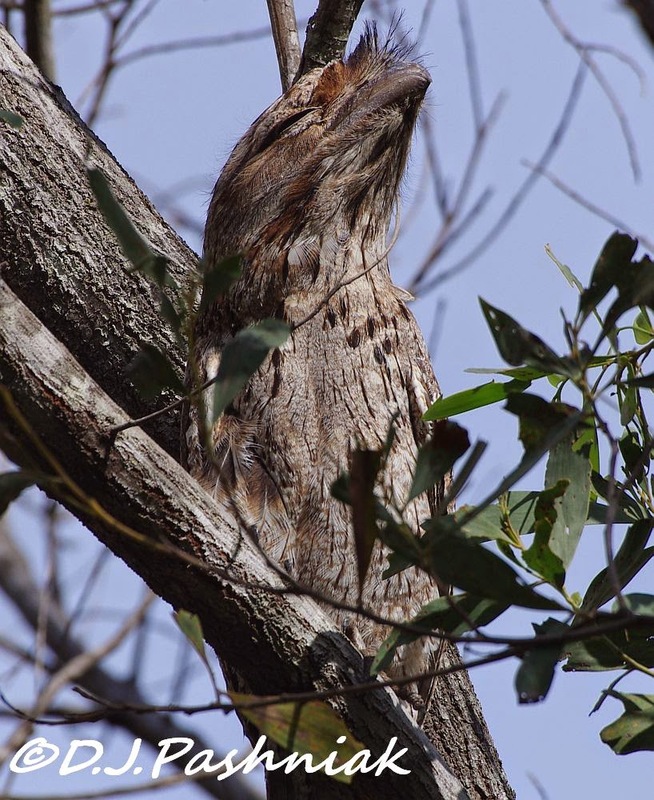 The frogmouth is a fascinating bird. I probably wouldn't have noticed it. Funny bird and well camouflaged. Tasty food. Hi Mick, well you stirred up a lot of childhood memories for me too. Invariably though when we went camping at Easter it'd rain... apart from that all was good fun. Love jaffles, I used to love eating those broken off side bits! Nothing better than eating outside having cooked over an open fire. 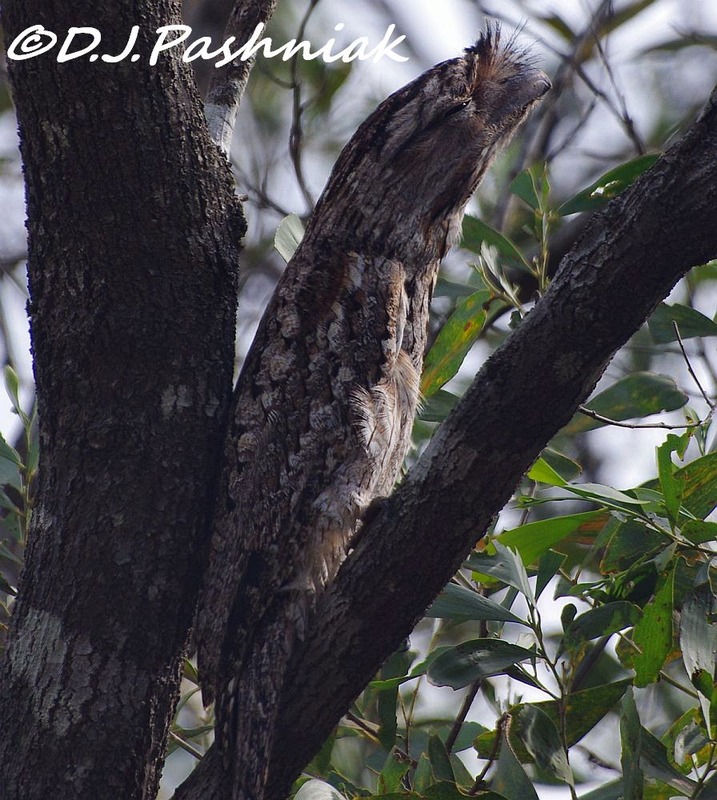 Wonderful shots of the Frogmouth. how on earth could you spot that bird? It looks like the tree itself. Maybe it wanted to join in the feast? I was enjoying your lovely campfire but then you surprised me with the Tawny Frogmouth! What an amazing bird! Seriously strange, different......and ps! good spotting! We have one here that is somewhat similar in behavior known as the Lesser Nighthawk that perches horizontally and looks just like the branch:) Awesome post! What a truly delightful post! I love campfires and cooking on open flame. Your toastie things are a great idea for sandwiches! You look like you had a great time. And that Tawny Frogmouth is so amazing! Wow! I just loved seeing him! Good looking fire, camp food and bird - not a bad trio really! My stomach started growling and my memories kicked in all at the same time. Used to do that camping ... Bill was good at it and all four of our kids were active in Scouts and so everybody except me was good at campfire cooking. (There was a reason I never learned ;>)! Oh and I loved your observer as well. I just love an egg and cheese jaffle from the fire! 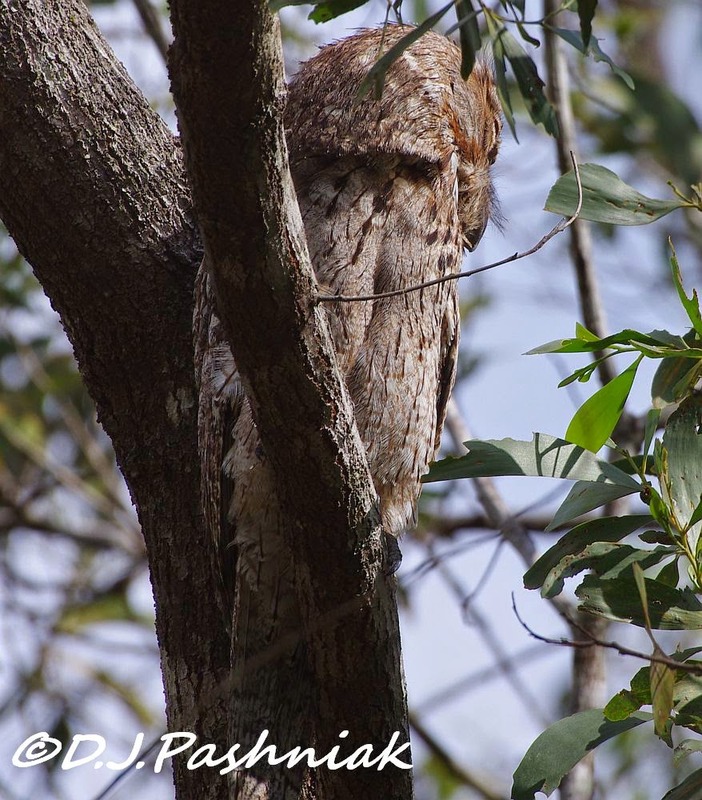 Great Tawny shots Mick! That camp fire meal looks great. 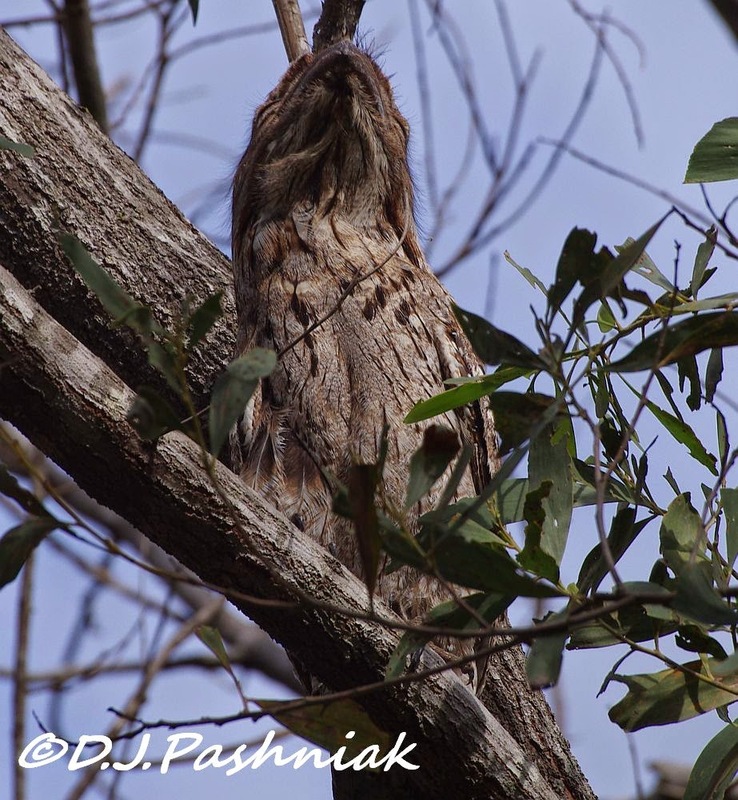 I'm incredibly jealous of your Tawny Frogmouth images. I have never seen one, except in photos. Delishous food, and great shots of the Frogmouth, that looks like another tree limb.